IO Interactive found a captive audience with the release of 2016’s Hitman, an episodic version of the classic stealth-based murder simulator franchise that rewarded creative thinking and completing elaborate setups to take down your targets. It shouldn’t come as a surprise that a sequel was announced during E3! And although it looks as if it ditches the episodic format, it certainly hasn’t turned its back on the innate charm and unintentional hilarity that made the last game such a fan favorite. I have a little bit of experience with the Hitman games, mostly the older PlayStation 2 games and some of the 2016 version, so it didn’t come as a surprise how prone to failure I was during the demo for Hitman 2. In it, Agent 47 is ordered to kill the daughter of an evil CEO type while she competes in a supercar race at a track in Miami, Florida. One of the more obvious setups that emerged through exploration and tailing certain individuals was a convoluted plan of taking out a mechanic, stealing his clothes, infiltrating the garage and planting a remote explosive on the car. Simple, no? The only problem was that I had all the subtlety of a bull in a china shop. Seeing an opportunity to take out the mechanic by poisoning his drink, my attempt to steal a cook’s outfit was foiled by knocking him out just as a security guard passed by, an act of violence that got them hunting me down. Whoops! Eventually, the route of sabotaging the vehicle got closed off to me having failed to act appropriately in the time given to me. As a backup plan, I was directed to a small, semi-concealed suitcase carrying a sniper rifle near the rooftop access stairwell on a building that gave me the perfect vantage point. Aim down the sight, pull the trigger, and BAM! Target killed and mission accomplished. Even though I performed terribly, I managed to get the job done! Shooting the target was pretty dissatisfying - Hitman is more fun when engaging with the game’s sillier setups and circumstances - and if anything, it encouraged me to want to get better and learn to be more observant and calculating. 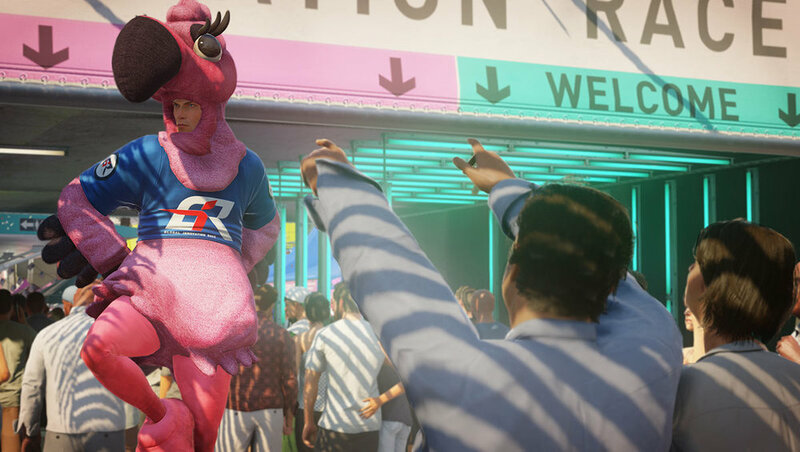 Be on the lookout for Hitman 2 coming out this November. When discussing Traveler’s Tales, it’s almost easier to talk about the licenses they haven’t converted into LEGO-based adventures. Since the company struck gold with the release of LEGO Star Wars in 2005 (holy cow, that was thirteen years ago! ), Traveler’s Tales has tackled Indiana Jones, Marvel, DC, The Incredibles, Jurassic Park, Lord of the Rings and everything else in between with LEGO Dimensions. It surprised me, then, that the announcement of LEGO DC Super-Villains is the first to focus exclusively on bad guys. Thirteen years and nineteen video games later, LEGO fans will finally get a chance to directly control Lex Luthor and the Injustice League as they are called upon to source the disappearance of the Justice League in connection with their alternate reality counterparts, the Justice Syndicate. As far as hooks go, it’s not a bad one. Previous DC and Marvel LEGO games always put heroes on the forefront, leaving the villains to be little more than playable palette swaps that can only be used in a free mode. Instead of having the player control Lex Luthor for the entire story, you’ll actually play as a character you design from the ground up. The biggest feature of the new game is a ridiculously customizable character creator. You’re free to customize every body part and miscellaneous accessory the minifig can carry. Faces, hair, glasses, body, hands, feet, shirt design, accessory color, costumes, nothing is left off the table. I spent a good portion of my demo fussing over the near-overwhelming amount of options available right from the start. Normally I’d expect to have to pay to use these items, so it shows a lot of upfront goodwill that dozens and dozens of options are available for free. Character creation also dictates what sort of superpower your character can use. I wasn’t paying too much attention at the time (I was dizzy from the sheer number of options) and managed to pick a pair of trousers that gave my character the gift of super speed. Although I didn’t have an opportunity to change my character and get a new power, I’m willing to bet there’s a hub world or some station built within the overworld map that’ll let me change my appearance whenever I feel like it. As for the rest of the game, well, it plays like any other LEGO video game. I’ve played a handful of them so it took little time to get back into the all too familiar groove. You’ll play through rigid story missions that force you to control specific characters, tantalizing you with certain puzzles, blockades, and computer access points that can only be interacted with by certain types of characters in the free mode. I wonder if the game has further viability beyond the unique hook as playing through a villain-centric story because, honestly, there wasn’t a whole lot to differentiate the demo of LEGO DC Super-Villains against any other video game in this long-running genre. Don’t get me wrong, LEGO is cool, but at this point Traveler’s Tales is starting to look a lot like Disney as they continue to gobble up licenses to convert into playable toy bricks.